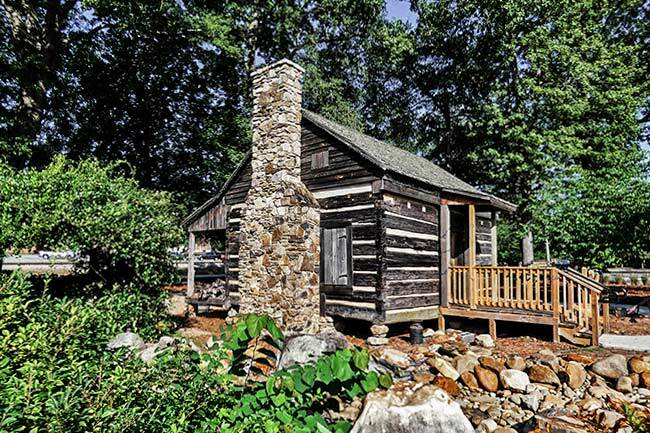 This humble but well-built cabin of heart pine was built nearly 200 years ago. Today it sits within the Mauldin Cultural Center, but it was originally located in northern Greenville County, close to the Poinsett Bridge. 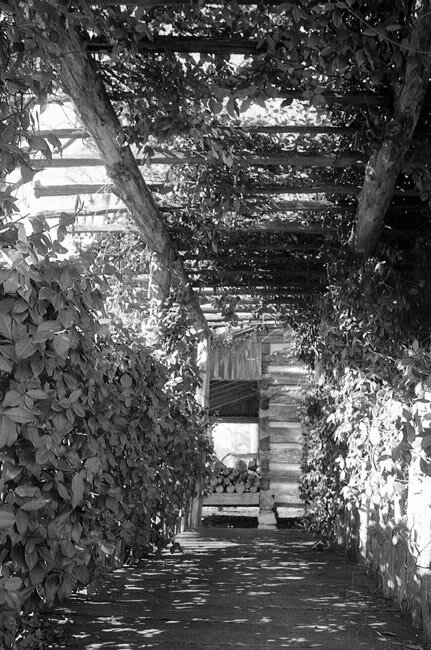 In fact it is believed that this cabin was used as a headquarters when the bridge – the oldest remaining bridge in South Carolina – was being built in 1819 and 1820. Experts in log cabin architecture claim that two distinct building styles are exhibited within the structure. The cabin was first built in the Cherokee Indian style, leading experts to believe that a Native American began creating the cabin in the early nineteenth century. 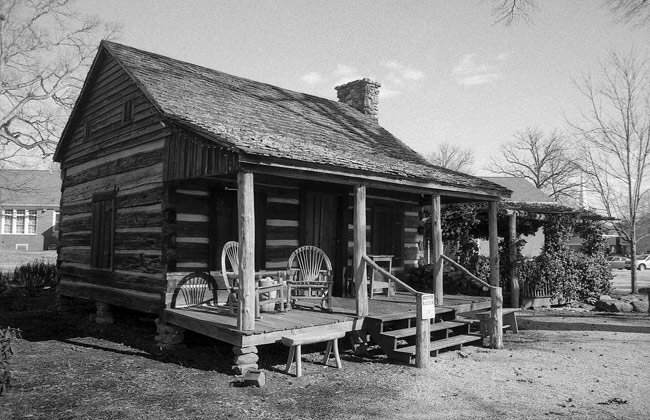 The building appears to have been finished in the English style, however, which indicates that a white settler completed construction on the cabin. The first documented occupant of the home is Gresham Callahan, whose name appears on the 1810 county census. Callahan was known colloquially as “Old Indian,” a name which later lent itself to a Boy Scout camp established at the cabin’s original site in 1927. However, by that time the cabin had changed hands a few times, and in 1875 John Goodwin sold the cabin and 300 acres of surrounding property to the reverend Jack Gosnell. It remained in the Gosnell family until 1941 when Luther Gosnell died a gruesome death, flinging his legs into the fireplace uncontrollably during a seizure. Gosnell was not found for three days and subsequently died in Greenville‘s General Hospital. The cabin, which then came under the stewardship of Camp Old Indian, suffered because the Boy Scouts lacked the funds to properly maintain it. It was later relocated to the Mauldin Cultural Center and restored as an exhibit of an early residential dwelling from the South Carolina Foothills region. Yes, it sits on public property. Love the history of this cabin and also the SCIWAY sight!